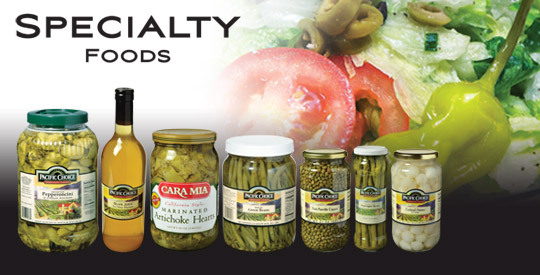 We offer a full line of top quality specialty foods available under our popular Pacific Choice and Cara Mia brands. 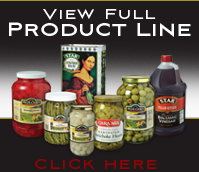 Thanks to our strategic alliances with a wide range of growers and packers, we are able to provide the pepperoncini, onions, capers, olives, artichoke hearts and many other foods that are essential to the success of today’s bars, restaurants and foodservice operations. We provide our own Quality Assurance staff to monitor each plant, ensuring that every product meets the strictest standards of food quality and safety. Our global procurement team is always on the lookout for new production regions and partnerships. And as a world leader in specialty food production, we are able to negotiate the best possible costs to keep Borges USA Foodservice the premier choice of competitive bar and food professionals.